One of the highlights of 2017 for many local beer drinkers was Blackman's Juicy Banger, the India pale lager that launched their Lager Collective series before becoming part of their year round lineup and making our Best New Victorian Beers of 2017 list. So what has the Blackman's team done: given you more. 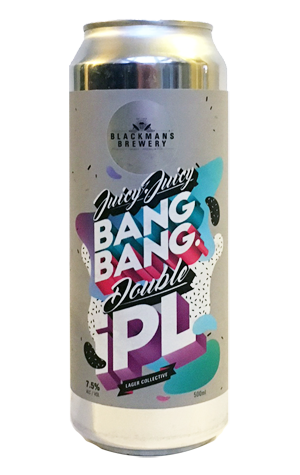 Juicy Juicy Bang Bang takes the original and soups it up across the board: more hops, more booze, more oomph. Unsurprisingly, it's a state of affairs that's turned out a beer that's fuller and stickier than its crisp compatriot, with a sweetness that helps keep the somewhat resinous bitterness from getting out of control. As for the hops, they deliver the lemon citrus and grapefruit hit fans of the original first fell for.